Seize this opportunity for a unique aerospace adventure. Enjoy a completely different aerial perspective of our stunning Mother City via an extraordinary mode of transport! The feeling and visual perception from a gyrocopter is very different to the feeling of being in a helicopter. It is best described as riding a motorbike, but in the sky! Now how cool is that? Feel the elements and enjoy the open cockpit which makes the adventure that extra special. Availability: Flights take place throughout the year. Who: Ideal for adults only. Maximum weight limit of 110 kilos. Numbers: This experience is for one person only. Duration: Allow 30 minutes for the flight. Additional Information: Participation is at your own risk. 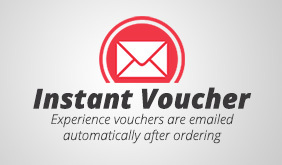 This package includes a service fee and e-voucher. Thank you for your quick response and support. I appreciate your service and looking forward to ordering something again in the future.